Welcome to Early Modern Paleography, a daily gallery of early modern British handwriting drawing from the Osborn Collection of Yale University’s Beinecke Rare Book and Manuscript Library. Beginning on January 1, 2010, and continuing each day throughout the year, Early Modern Paleography will post photographs from an early modern British manuscript, for the delight and delectation of its readers. Each week will focus on a particular manuscript or type of manuscript, ranging over the course of the year from letters to commonplace books, inventories, poetry, diaries, and account books, among others. Early Modern Paleography is intended as a celebration of the fascinations–and perplexities–inherent in the study of early modern manuscript culture. In posting an example each day, we wish to illustrate the richness and complexity of early modern literary culture, and to highlight the fact that each of us, when reading back to this period, is able to reach across the differences of technology and training which shape writers and readers, then as now. 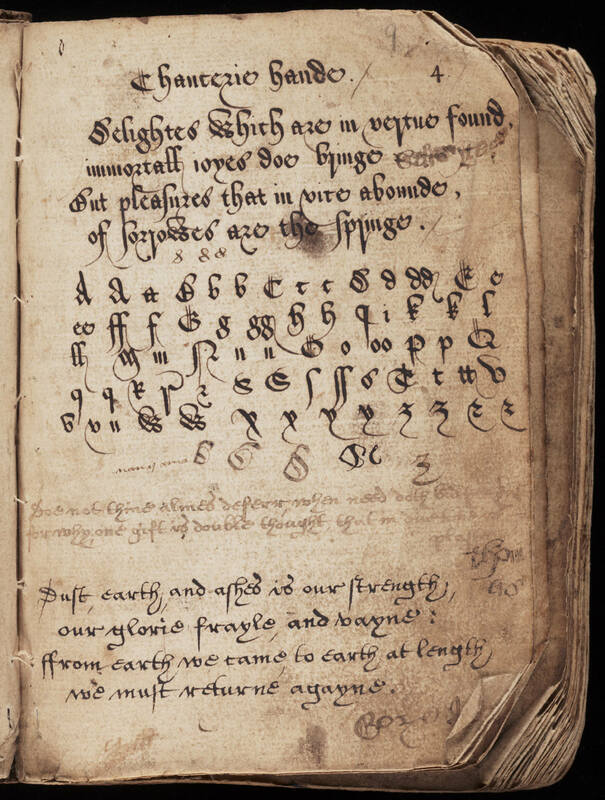 To offer guidance in early modern paleography, we have listed links to the many wonderful web resources for English, Scottish, French, Latin, and other early modern hands. Please also feel free to post your transcription–or other observations–with a comment, which we will be publishing. Whether you read the snarl and scrawl of English secretary hand for a living or have always found it intimidating, delight in English literature or have always wanted to read early modern manuscripts, please join us for a year of paleographical revel and diversion at Early Modern Paleography. This entry was posted on December 4, 2009 at 2:13 pm and is filed under Uncategorized. You can follow any responses to this entry through the RSS 2.0 feed. You can leave a response, or trackback from your own site.